The Iberia F7 now has an all-solid counterpart. 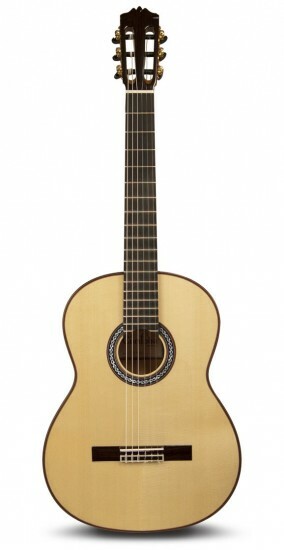 The all-solid F10 flamenco guitar, featuring a solid European spruce top with solid cypress back and sides. It is built with the traditional Spanish flamenco body style - a flat neck angle to give the guitar low action and a flamenco buzz. The built-in truss rod makes adjusting the neck angle on this guitar a breeze. Includes a golpeador (tap plate), the Domingo Esteso mother of pearl rosette and a hardshell Cordoba humidified archtop case.